Once the decision to intervene in hearing loss is made, the next task on the list is to find the perfect fit. Shopping for any big-ticket item is bound to be stressful but hearing aids perhaps especially so just because it’s something you’ll do so infrequently. Many hearing aids, though they can be pricey, are a crucial investment in your overall health and well-being. Most pairs last around five to ten years. Whether it’s your first time shopping or you’re back on the market for another pair, here are a few tips to help you ease into the experience. Because everything is more fun when you’re with a friend. There are a number of advantages to enlist help in your hearing aid search. Having a good friend or loved one along for the ride can provide you with the necessary confidence to ask questions even when you’re feeling shy or overwhelmed. They can help you speak up for yourself, even speaking up for you if needed. Plus, it’s good to have someone to discuss options with. 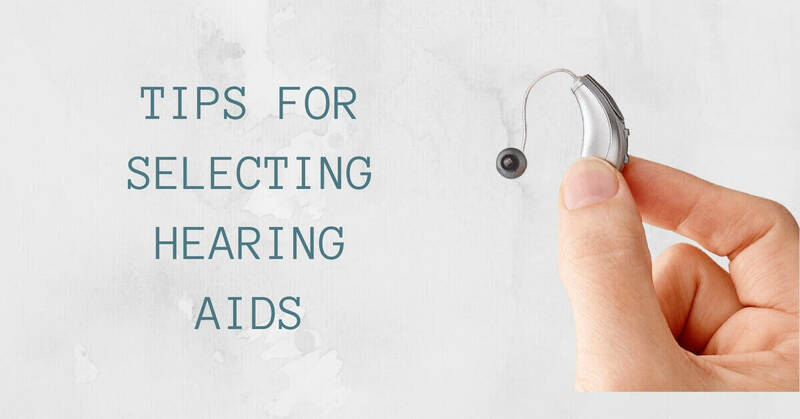 They might have picked up on something you missed or might even be more in tune with habits of yours that affect the compatibility of different hearing aids with your lifestyle. Anyone can search hearing aids online, but the face to face personal interaction with an expert is going to be immensely more valuable in your hearing aid search. If possible, work directly with an audiologist. Our team at Coweta Hearing comprises of highly trained professionals, who hold advanced degrees in audiology and hearing health. Our team works to pair people with the correct hearing devices day in and day out. So, although you might only take this shopping endeavor on once every decade or so, we’re doing this all the time. We’ll ask the right questions and probably answer any concerns or queries you have very easily. Our team at Coweta Hearing has a depth and breadth knowledge of what hearing aids are available on the market in order to find the perfect solution for your unique lifestyle. In the weeks leading up and surrounding your hearing aid search, take an honest look at your lifestyle and habits. Do you have an active or quieter lifestyle? Is syncing up to the latest technology exciting or stressful? Does function take precedence over form? These questions -- and more! -- will direct your search toward options that will actually integrate better and more seamlessly into your life. Once you’ve met with us at Coweta Hearing, had your hearing tested and selected a model, ask to take your prospective hearing aids for a test drive. Many hearing aids are able to be fitted with a disposable plug in order for the customer to experience the hearing aid. This is especially useful if you’re new to buying hearing aids in the first place, giving you a feel for what you can expect. One of the most important aspects of this is to not feel rushed. Take all the time you need in exploring different models and options. There are many details associated with purchasing hearing aids. Make sure to retain a signed copy of the final contract. This document should include all the pertinent information, such as the make and model of the hearing aid, purchase price, trial periods and warranties, plus any additional fees incurred. The contract might also outline follow up visits that are included in the purchase price. These follow up visits are great places to ask questions and might be crucial to ensure that you’re getting the most out of your new hearing aids capabilities. There will undoubtedly be a period of time in which you’re getting used to this new way of hearing. Because healthy hearing cannot be restored after most instances of hearing loss, you’ll be learning to hear in an entirely new way. Maintain a little tenderness around learning something new. In some instances, when hearing loss has gone on a long time without intervention, this will mean retraining parts of the ear and brain that have been dormant for years. It will take a bit of time to wake them back up. If possible, join a support group for people with hearing loss and connect with others who’ve gone through what you’re going through now. Aside from having access to their lived wisdom, they can serve as a source of support when the process gets frustrating. For all of your hearing health care needs, contact us at Coweta Hearing. We provide comprehensive hearing exams and hearing aid fittings.